Output per annum Per capita consumption of eggs is only 7.7 per annum in rural areas compared with 17.8 per annum in urban areas. Percentage In World Market India was positioned 17th in the world poultry production. Indian Poultry Industry is one of the fastest growing segments of the agricultural sector today in India. As the production of agricultural crops has been rising at a rate of 1.5 to 2% per annum while the production of eggs and broilers has been rising at a rate of 8 to 10% per annum. Today India is world's fifth largest egg producer and the eighteenth largest producer of broilers. Driving this kind of expansion the contributing factors are - growth in per capita income, a growing urban population and falling poultry prices. The Indian Poultry Industry has undergone a paradigm shift in structure and operation. A very significant feature of India's poultry industry is its transformation from a mere backyard activity into a major commercial activity in just about four decades which seems to be really fast. The kind of transformation has involved sizeable investments in breeding, hatching, rearing and processing. Indian farmers have moved from rearing non-descript birds to today's rearing hybrids such as Hyaline, Shaver, and Babcock which ensure faster growth, good livability, excellent feed conversion and high profits to the rearers. The Indian Poultry Industry has grown largely due to the initiative of private enterprises, minimal government intervention, and very considerable indigenous poultry genetics capabilities, and support from the complementary veterinary health, poultry feed, poultry equipment, and poultry processing sectors. India is one of the few countries in the world that has put into place a sustained Specific Pathogen Free (SPF) egg production project. Indian Poultry developments another aspect is that it has significant variation in the industry across regions. As for the egg production in India by the states during 1998-99: the four southern states Andhra Pradesh, Karnataka, Kerala and Tamil Nadu - account for about 45 % of the India's egg production, with a per capita consumption of 57 eggs and 0.5 kg of broiler meat. The eastern and central regions of India account for about 20% of egg production, with a per capita consumption of 18 eggs and 0.13 kg of broiler meat. While the northern and western regions of India record much higher figures than the eastern and central regions with respect to per capita availability of eggs and broiler meat. The organized sector of Indian Poultry Industry is contributing nearly 70% of the total output and the rest 30% in the unorganized sector. Broiler industry is well dominated by the southern states in our country with nearly 60-70% total output coming from these states. The layer industry once again is represented more in southern states especially, Andhra Pradesh, Tamil Nadu and Maharashtra producing nearly 70% of the country's egg production. India's 75% of egg produce is consumed by the population of 25% living in urban and semi-urban areas. Presently about 800 hatcheries are operating in India today. The nation is a market with Investment friendly ambience. Indian Poultry Industry is booming and emerging as the world's 2nd largest market. The growth rate is growing at the phenomenal rate of 12 to 15% every year. A new path began with the integrated poultry operations throughout the country. 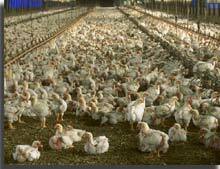 There is an overwhelming response from all segments concerned and related with poultry. There is a 100% increase in space compared to earlier years. In a continual endeavor and efforts to create a strong platform for Poultry India is experimenting with new trends in poultry rearing techniques and innovations for processed chicken meat, medicines, feed additives, health products, equipments, managements & other technical services. With the rise of middle class and increased urbanization, a major population prefer to go for non-vegetarian. Today about 3 million farmers and 15 million agrarian farmers are employed in the poultry industry that are usually growing poultry ingredients for feed and contribute about Rs 26,000 crore to the national income. There is a considerable variation in per capita consumption between rural and urban areas and also across the region. Per capita consumption of eggs is only 7.7 per annum in rural areas compared with 17.8 per annum in urban areas. In seven states, per capita consumption is less than 3.5 per annum. Similarly, per capita consumption of poultry meat is 0.24 kg in rural areas and 1.08 kg in urban areas. Today units with fewer than 5,000 birds are becoming rare, and units with 5,000 to 50,000 birds per week cycle are common in the poultry management. Similarly, in the layer farms, units with a flock size of 10,000 to 50,000 birds have become common. Analysts estimate that the Indian Poultry Industry has been growing at a much faster pace, along with other industries such as BPO and Securities market. Over the years the poultry industry in India has contributed approximately US $229million, to the Gross National Product (GNP). Three decades ago in India, when egg and broiler production was 10 billion and 30 million, respectively, the total employment numbers in the poultry sector was not much encouraging. As income and employment in the crop sector started decreasing, the non-crop sector, which includes dairy and poultry, underwent a significant shift. Due to the demand for poultry increasing and production reaching 37 billion eggs and 1 billion broilers, the Poultry Industry today employs around 1.6 million people. At least 80% of employment in Indian Poultry Industry generates directly by the farmers, while 20 % is engaged in feed, pharmaceuticals, equipment and other services according to the requirement. Additionally, there might be similar number of people roughly 1.6 million who are engaged in marketing and other channels servicing the poultry sector. The National Institute of Nutrition has strongly recommended 180 eggs and 11 kg of meat per capita consumption for our nation. At present, Per capita availability for meat is 1.6 kg. Per capita availability for egg is 1.8 kg or 42 eggs. Average consumption for eggs in major cities is 170 eggs. Average consumption for eggs in smaller cities is 40 eggs. 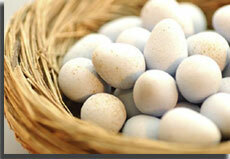 Average consumption of developed rural areas is 20 eggs. Average consumption of undeveloped rural areas is only 5 eggs. While 20% of Indian population is vegetarian. The average per capita of Poultry meat consumption was estimated to increase from 0.69 to 1.28 kilograms, during the 2000-2004. Analysts' studies reveal that the total egg consumption is estimated to increase from 34 billion in 2000 and to 106 billion in 2020, while poultry meat consumption has been predicted to increase from 687 million kilograms to 1,674 million kilograms. The market research report "Vision for Indian Poultry Industry: Current Scenario and Future Prospects" predicts & analysis a relatively strong growth for the egg and poultry meat industry, in both the urban and rural areas for the next two decades. It has been observed that egg consumption has grown at a much faster pace, than the consumption of poultry meat. With the continual rise in income the numbers are estimated to nearly triple by 2020. India is the fifth largest producer of eggs and ninth largest producer of poultry meat in the world and produced over 34 billion eggs and about 600,000 tons of poultry meat in 2004. Several efforts in poultry science and technology have led to the development of genetically superior breeds capable of higher production, even under adverse climatic conditions that offer opportunities for overseas entrepreneurs to expand export and import of poultry products on a large scale.